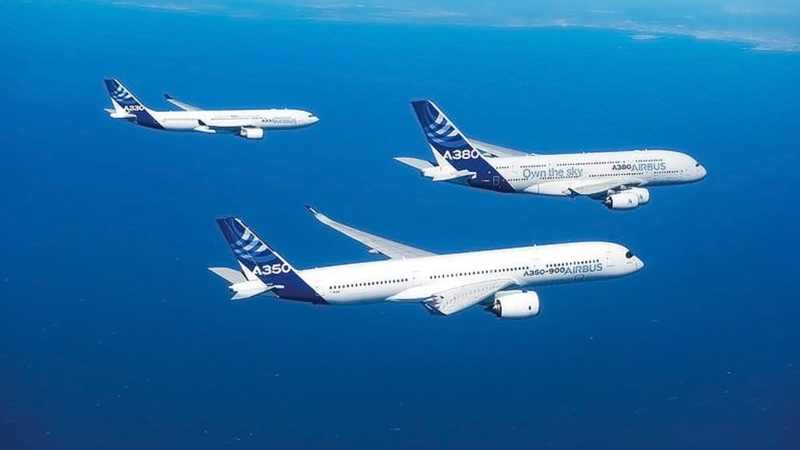 The aerospace industry has, among others, two important international players – Airbus and Boeing. This applies to local aerospace as well as international aerospace manufacturing industries, all competing to be part of the global supply chain. Manufacturing for aerospace in South Africa is dependent on commercial manufacturing for these global players. “Each region that plays a role in this manufacturing creates programmes to draw international companies into their countries, giving them an incentive to invest in their manufacturing processes,” says Department of Trade and Industry Aerospace Industry Support Initiative (AISI) manager Marié Botha. In South Africa, the programme is known as the National Industrial Participation Programme. The programme ensures that, if a government entity buys aircraft from Airbus or Boeing, these companies have an obligation to localise certain manufactured components that will contribute to the global supply chain of aircraft. Without these incentive programmes, the local industry must rely on its reputation for flexibility and competence in handling complex or difficult-to-manufacture parts to retain a share in the supply chain. But there are additional challenges. The aerospace manufacturing industry is highly regulated and relies on advanced manufacturing processes, where certification processes play an influential and necessary role. She explains that certification is required for the product, the processes involving materials and manufacturing, and the engineers, artisans and skilled workers, all of whom must be certified to manufacture a particular product. Therefore, local small, medium-sized and microenterprises are certified under the umbrella of local integrators to ensure certification, quality and reliability in the manufacturing process. However, Botha says this is not the only challenge for the local aerospace industry; much of the raw material is imported, which makes for lengthy supply chains. South Africa’s removed geographic location for these international companies adds to the burden of cost-effectiveness in the aerospace manufacturing industry. Botha says there are four key aspects that can be implemented to strengthen the manufacturing industry in South Africa to impact on the aerospace industry positively. The first is cooperation. Instead of having many South African companies tendering for the same bid, Botha believes that the industry could instead collaborate based on its strengths. The second aspect to improving and better positioning the manufacturing industry is increased research and development (R&D) funding, which can be a shared-supply-chain activity for the industry. “R&D funding is important for the industry, because of the importance of being innovative in an increasingly globalised context. South Africa has industry and world-class expertise in aerospace. The AISI aims to bring that capability closer to the industry in order for it to differentiate the nature of its product offerings by focusing on technology transfer into the local aerospace manufacturing industry,” she explains. The third aspect is skills development. The aerospace industry requires highly skilled and specialised engineers, she points out. Therefore, upscaling skills essential to the industry will assist and grow it. Lastly, manufacturing for the aerospace industry and product certification are two areas that could be improved and strengthened. “If certification procedures are weak, the industry suffers,” she comments. Innovation therefore plays a critical role in fostering competitiveness with other countries and that requires having products and processes certified. For South Africa to compete in an international market, Botha concludes, the country has to stay abreast of innovations and technological trends and advances.